Flying to Oslo, Copenhagen or Stockholm this winter? 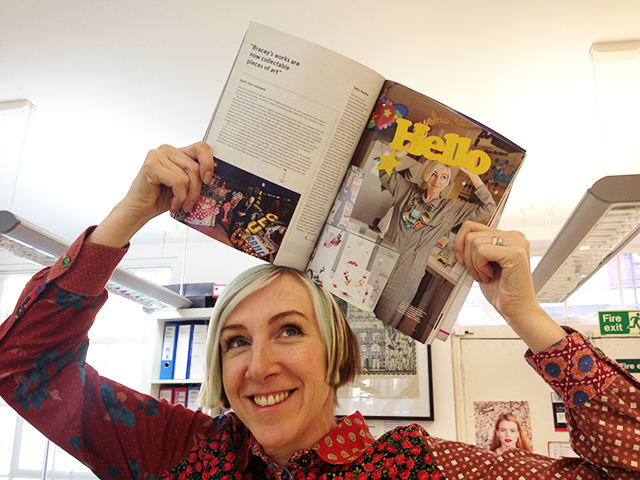 Look out for Harriet in the November issue of Norwegian airline's magazine, N by Norwegian! She was photographed in our Brick Lane store for their article, This Is Not Oxford Street, exploring East London's quirkiest shops. We were really excited to take part, especially as we were featured alongside the amazing Gods Own Junkyard and the Village Bicycle. Love Harriet's look? She's wearing one of her favourite pieces from the AW13 collection, the Jewel Print Statement Necklace. Have you ever visited the Brick Lane store? It's the original home of Tatty Devine. Back in 2000, Rosie and Harriet stumbled upon the store after a trip to the bagel shop. It was dingy, scruffy and full of rubbish, but they set about turning it into a real workshop (with help from Harriet's dad!) 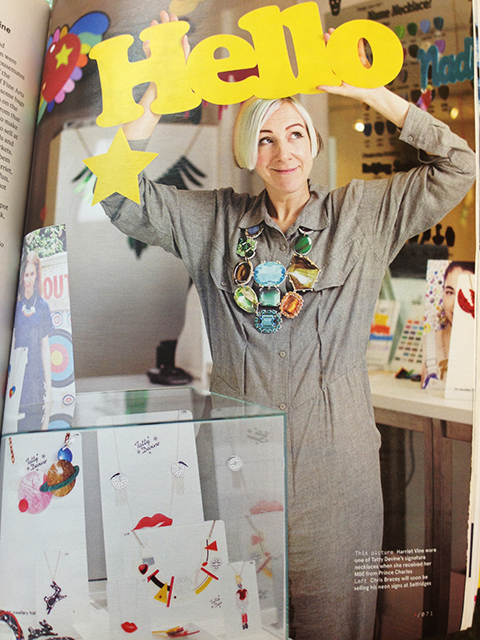 Before long, people started banging on the doors, trying to buy the pieces they were making and it became the very first Tatty Devine shop. Exciting news! Harriet's heading to the Arctic Circle for Christmas (jealous!) so keep up with all her adventures on Twitter and Instagram!